Premier courier service expands workforce and warehouse space in new location. 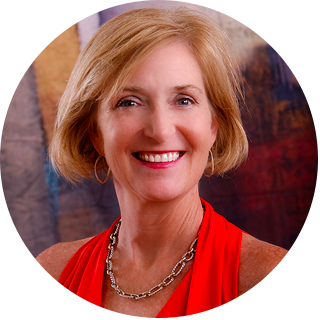 Top Women Business Owners of 2018! Arch Express to take care of their needs. Missouri area six times per week. When it comes to service, WE DELIVER! Why choose Arch Express, you ask? It's no secret that the St Louis Courier industry is a competitive one; to that, we make sure you know that your deliveries are executed how they should be...timely, professional and confidential. We have received many high accolades, including the "Preferred Courier" for St. Louis University. Through this pride and commitment, we are eager to prove our services to you and gain your business for a lifetime! Need to get baseball tickets to a client on the day of the game? Have a bid that needs to be submitted and stamped by a specific date and time? Have a part you need to get to your staff at a job site? 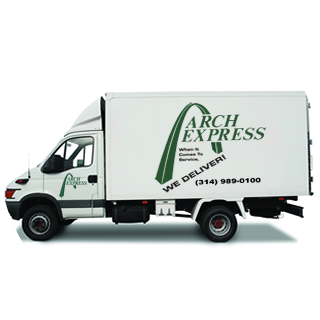 Arch Express is the St Louis Courier that will deliver it for you. 1 Know you as a name, not a number? Too often we hear stories of businesses who use the same courier service for years, and the dispatcher on the other end of the phone never even learns their name—much less their unique needs and business model. That shouldn't be the case—and for us, it's not. 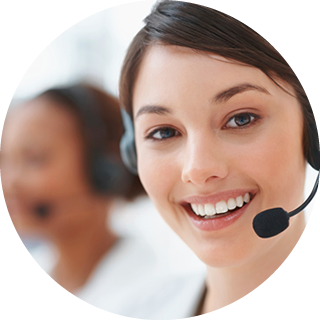 We value our clients and look forward to getting to know each person who calls. 2 Provide personalized onboarding and customized service? Because every business is unique, your courier service should not be limited to off-the-shelf offerings. That's why at Arch Express we dig deep and ask the right intake questions upfront. The better we understand your specific needs, the better we can serve you. 3 Offer you a dedicated driver? When a courier service makes a delivery for you, they become the representative of your company. We understand that—and we know that having the same driver show up every day augments your brand. Regular Arch Express clients have the option to have a friendly, professional, uniformed driver dedicated to their route. 4 Show up on time, every time? Although timeliness should be expected when dealing with same-day deliveries, many of our competitors struggle with this. For us, reliability is everything. And on the off-chance that our drivers fall even five minutes behind schedule—you'll be the first to know. 5 Offer real-time status updates? When it comes to time-sensitive deliveries, you should be informed every step of the way. We maintain constant communication with our drivers via GPS-activated Nextel radios so we're always prepared to keep you updated. Plus, you can access real-time delivery information through our website. 6 Give you direct access to the owner? Your deliveries are an extension of your business and, as fellow business owners, we respect that. You should be able to treat your courier relationship like any other business partnership. That's why our clients know our owners by name—and vice versa. 7 Go above and beyond? We don't just pick up and deliver—we advise and streamline as your business partner. For many clients, we've researched packaging options and even sorted deliveries to make routes more cost-effective. 8 Tailor delivery schedules to meet your needs? In this fast-paced world, options are everything—especially when it comes to your time-sensitive business matters. With a fleet of 35+ drivers, we're able to provide various custom options including rush (60 minutes), two-hour, four-hour, or same-day deliveries. 9 Scale with your company? Your relationship with your courier company should be long term-and that's exactly what we aim for. Whether you need us for a small envelope or pallets of materials, we don't discriminate based on size. We remain flexible in order to continue to meet your needs as you grow. Arch Express does all of the above. And More! Arch Express is a state-certified women-owned courier company serving the needs of businesses in a 150-mile radius of St. Louis, Missouri. In addition, we deliver to the Kansas City, Missouri area six times a week. 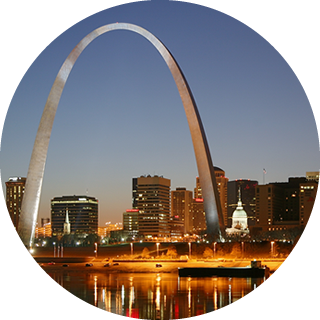 Arch Express is located in St. Louis, Missouri and we deliver everything from small envelopes to pallets of materials. To provide a St Louis Courier service that is a step above the industry standard, by making our same day deliveries in a timely, courteous manner where by our customers feel confident relying on Arch Express to take care of their customers' needs with an on-time delivery percentage of at least 95% in a pleasant and fun working environment.